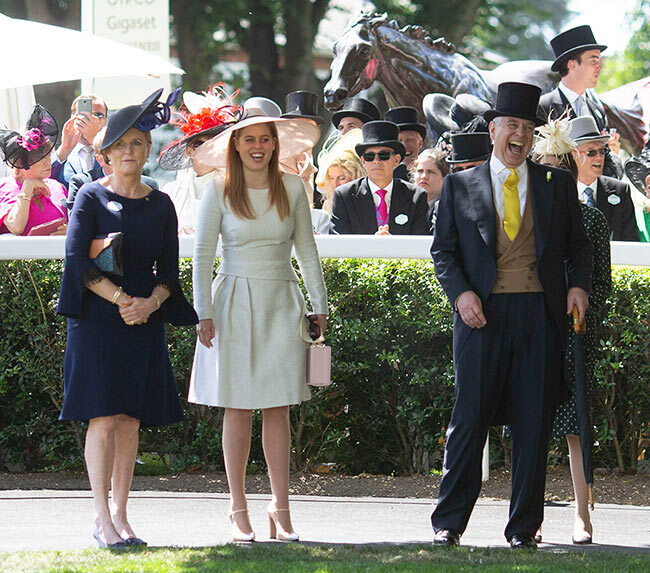 Sarah Ferguson was invited to join the royal family at Ascot on Friday – and though she wasn’t included in the traditional carriage procession to mark the beginning of proceedings, she was granted the privilege of watching the racing from the prestigious royal box. 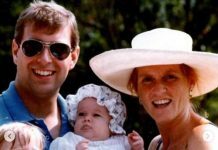 The former wife of Prince Andrew even shared a joke with the Queen alongside her daughter Princess Beatrice and Lady Carolyn Warren, showing she still shares a close bond with the monarch. y too have remained the very best of friends, as they laughed together with Beatrice. At one point, Sarah was seen adjusting her ex-husband’s lapel as they happily chatted away. 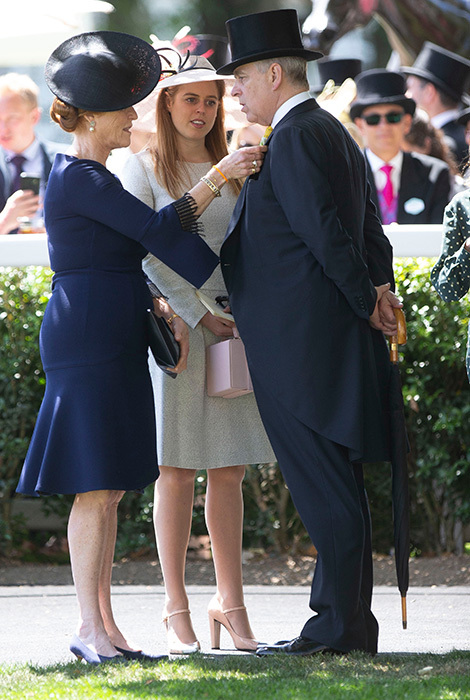 Moments later, both Sarah and Beatrice were seen curtsying when the Queen made her entrance in the parade ring, with the mother-of-two holding onto her eldest daughter’s hand to aid her balance. The 58-year-old looked fabulous in a striking navy Roland Mouret fitted dress, while she accessorised with a hat by Philip Treacy and shoes by Rene Mancini. She wore her trademark auburn hair in a twisted side-bun off her face and went for a bronzed makeup look. Her daughter, meanwhile, opted for a stunning dove-grey dress by The Fold, which she styled further with a pair of heels by Russell and Bromley and a pink box bag by Pop and Suki. 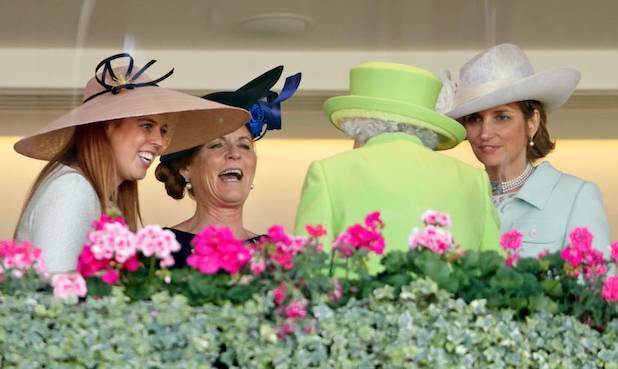 Friday marked the fourth day of the prestigious horse racing event. Throughout the week, the Queen has been accompanied by various members of her family, including Prince Charles and Camilla, the Duke and Duchess of Sussex, Prince Edward and the Countess of Wessex and Princess Anne. 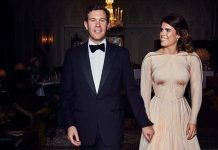 Meanwhile, Prince Andrew and Sarah are preparing for their youngest daughter, Princess Eugenie’s wedding to fiancé Jack Brooksbank. The happy couple announced their engagement in January, and are set to tie the knot on 12 October at St George’s Chapel in Windsor, just like the Duke and Duchess of Sussex.